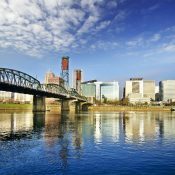 Portland has ranked among the nation’s top-performing metros for rent growth this real estate cycle, but performance has flattened in mid-2018, as annual rent growth hit an eight-year low. Among the 50 largest U.S. metros, Portland’s rent growth ranked among the five weakest performances this quarter. 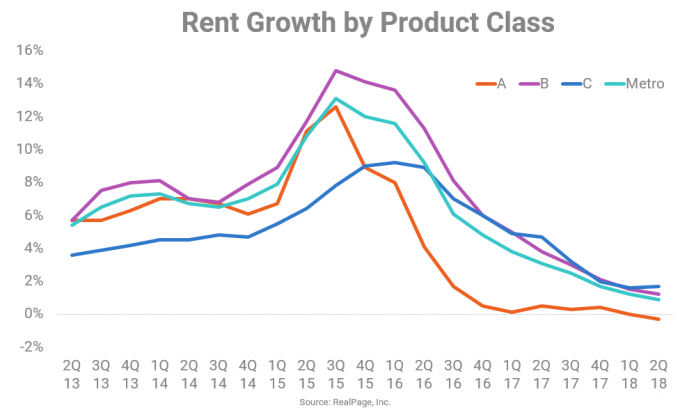 After reaching a peak of 13.1% rent growth in 3rd quarter 2015, Portland’s average rent for new leases inched up just 0.9% year-over-year in 2nd quarter 2018. Only Austin at 0.6% and Chicago at 0.3% had less rent growth this quarter. By comparison, the average annual rent change over the cycle has been a solid 5.5% in the market and 3.4% nationally. Portland’s rent growth performance softened due in part to its growing inventory base. 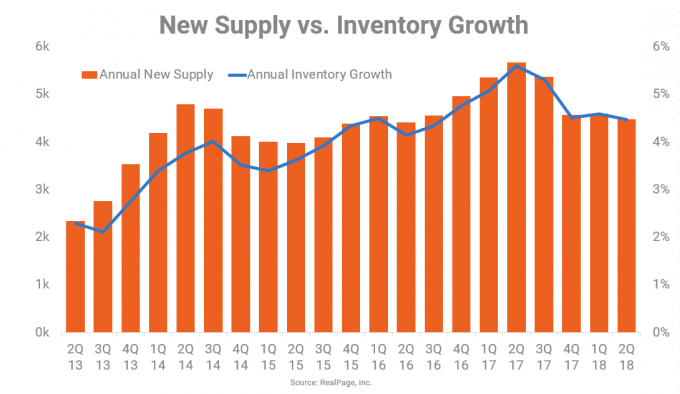 The metro has added supply of more than 4,000 units annually in each of the past 12 quarters, growing inventory at least 2% annually over the past three years. The squeeze on rents from supply can best be seen in Class A-heavy Central Portland and East Portland submarkets, where almost half of new units in the market are concentrated. In Central Portland, Class A apartment operators have slashed rent prices 1.6% year-over-year, while East Portland has seen a 1.3% decrease in effective rent to keep up with the growing supply. Meanwhile, slowing rent growth is also seen in west Portland’s middle-tier apartment stock, indicating some possible affordability headwinds there. Specifically, the Hillsboro submarket saw a 0.3% decrease in rents, and Aloha/West Beaverton rents have also remained essentially flat year-over-year. Both submarkets contain large Class B stocks. 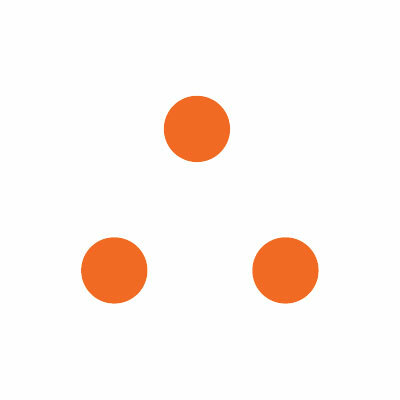 The supply pipeline doesn’t look to be slowing any time soon for Portland. New construction continues to trend upward, from 5,157 units under construction a year ago to 6,791 units under construction at the end of 2nd quarter 2018. The metro was also among the nation’s top 10 permitting markets in the year-ending May. 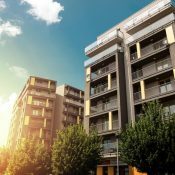 Despite the elevated number of completions, apartment occupancy remains steady at roughly 95% or higher over the past year, indicating that operators appear to be sacrificing rent growth to fill units. In fact, almost a third of Class A units in Central Portland and one in five top-tier apartments in East Portland offered concessions this quarter — and the average concession in both submarkets was about 5%. Perhaps not surprisingly, the number of total investment transactions is also down. According to 2017 numbers from Real Capital Analytics, transaction volume decreased 16%, a trend seen across most other West Coast markets as pricing remains elevated. 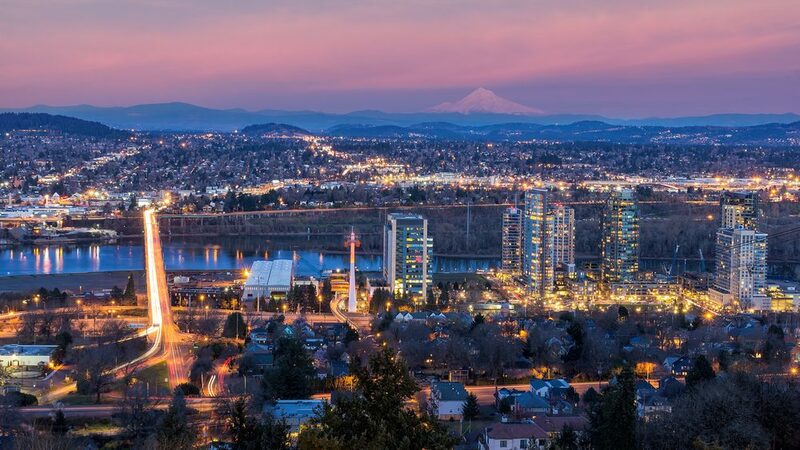 But even with the slowdown in investments and rent growth, the outlook for Portland remains positive thanks to its continued growing job market and favorable demographics. In the year-ending April 2018, the employment base grew 1.6% with the addition of 18,400 jobs. The April 2018 unemployment rate was a 3.8%, in line with the national average. 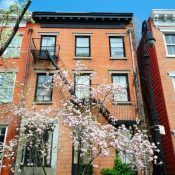 In addition, since 2011, the number of 20- to 34-year-olds, a segment critical to the apartment market, has increased 6.7%, compared to the national average of just 4.6%. Looking ahead, Portland’s affordability compared to the rest of the West Coast remains a key differentiator. Average rental prices in Portland were $1,332, which is relatively affordable compared to the West region average of $1,684. Meanwhile, Portland’s Class A average of $1,652 remains far below West Coast peers like San Francisco’s $3,946, San Jose’s $3,427 and Seattle’s $2,254 average Class A rents.